Germany’s oldest student, 102, gets PhD « Adafruit Industries – Makers, hackers, artists, designers and engineers! 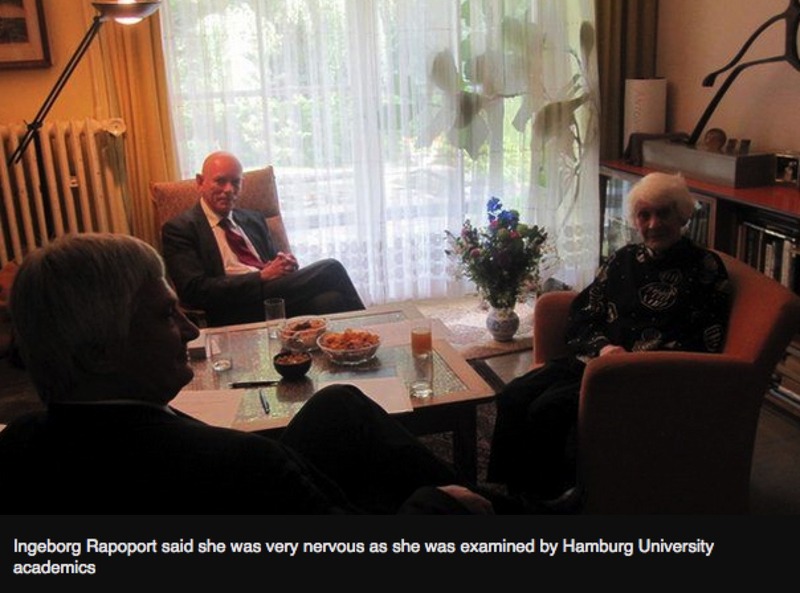 Germany’s oldest student, 102, gets PhD – BBC News. A 102-year-old German woman has become the world’s oldest person to be awarded a doctorate on Tuesday, almost 80 years after the Nazis prevented her from sitting her final exam. Ingeborg Rapoport (then Syllm) finished her medical studies in 1937 and wrote her doctoral thesis on diphtheria – a serious problem in Germany at the time. But because of Nazi oppression she has had to wait almost eight decades before being awarded her PhD.